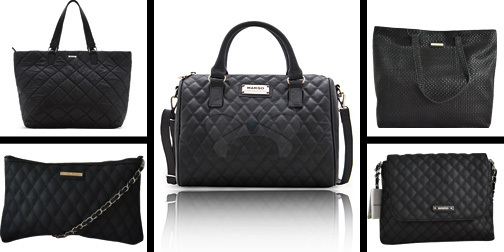 Mango (MNG) Quilted Shopper Handbag (Design A) for only RM55 insted of RM209. Stylish, convenient & chic - Perfect for carrying your daily essentials. Mango (MNG) Bag (Design B)for only RM55 insted of RM209. Ideal for fashionable divas who want to look stylish while carrying their worldly goods. Mango (MNG) Bag (Design C) for only RM50 insted of RM209. Stylish, convenient & chic - Perfect for carrying your daily essentials. Mango (MNG) Bag (Design D)for only RM65 insted of RM209. Stylish, convenient & chic - Perfect for carrying your daily essentials. Mango (MNG) Bag (Design E) for only RM38 insted of RM209. Stylish, convenient & chic - Perfect for carrying your daily essentials. Visit MNG Bundle Deal (available in 5 designs) from RM38, Delivery Nationwide deal now!